So the weekend is here, but just because you’re taking a break from work, doesn’t mean you’re taking a break from eating. Here’s a couple food events for the upcoming weekend if you’re looking to do some serious eating over the new couple of days! 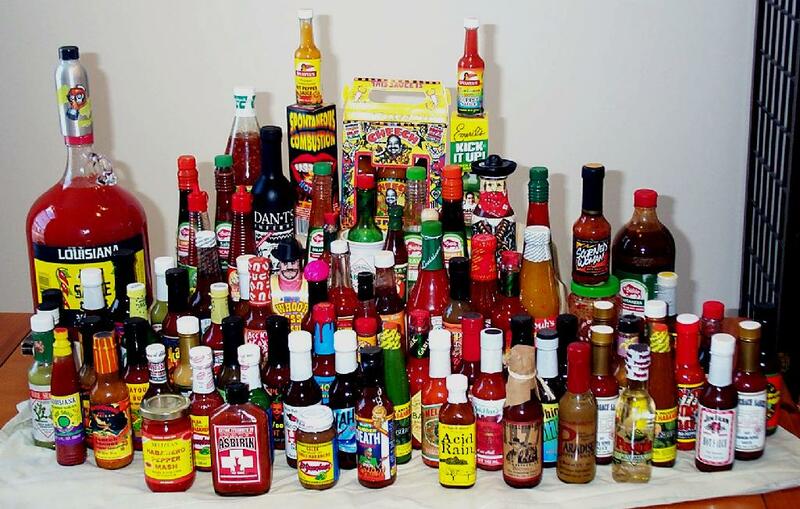 The first annual New York City Hot Sauce Expo is being held in Brooklyn this weekend! Artisanal hot sauces from all over the country will be featured, coming from vendors such as Maryland’s Rippin’ Red Sauce Company, Connecticut’s Tom’s Roid-Rippin’ Hot Suace, South Carolina’s PuckertButt Pepper Company, and much more. Cooking demonstrations and contests will also be held. The event takes place Saturday and Sunday, from 10 a.m. to 6 p.m., at East River State Park, 110 Kent Avenue (N. 8th Street) in Williamsburg. Tickets are $11.34 for general admission or $104.49 for V.I.P. [includes food and an open bar]. General admission is $12 at the gate. Smorgasburg, as always, is in Williamsburg on Saturday from at East River State Park—Kent Ave. and N. 7 St. and Sunday in DUMBO at the historic Tobacco Warehouse in Brooklyn Bridge Park, 11 am – 6 pm, rain or shine. Gluten free with no clue how to bake yourself a treat? Take the Gluten Free Baking Workshop with Elizabeth Barbone (Serious Eats contributor and gluten free cookbook author) at The Center for Kosher Culinary Arts this Sunday, April 21st from 10:30 am to 1:30 pm. You’ll get loads of gluten free carbs and the opportunity to ask lots of questions to be answered by an expert. The class costs $90 and will be held at 1407 Coney Island Ave, Brooklyn. Also on Sunday, April 21st, local bakers and food bloggers will be gathering together at the Sweet Sensations Benefit, raising funds for Careers through Culinary Arts Program (C-CAP), a national non-profit based in NYC that provides education, scholarships, and career opportunities to at-risk students. Pastry chef Stephen Collucci (of Colicchio & Sons) will be joining master chocolatier Medhi Chellaoui for a pastry demonstration, and treats will be provided. Tickets run at $39 and the event will be held at 168 Bowery in Manhattan.